Looking for a USED Y83-230? Anyang Forging Press Machinery Industry Co.,Ltd is he special manufacturer forging machines, the main products includes CNC fully hydraulic closed die forging hammer, hydraulic forging hammer, pneumatic forging hammer, open die hydraulic forging press, forging manipulator, forging charger, ring rolling machine, steel ball skew rolling machine, billet cutting machine, metal band sawing machine, Ring Rolling Mill, Ring Forging Machine, Forging Manipulator, Metal band sawing machine, metal chip briquetting press, metal scrap baling press, hydraulic riveting machine etc forging machines and forging auxiliary machines. 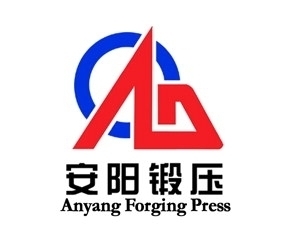 Anyang Forging Press Machinery Industry Co.,Ltd was established in 1956. Our company now covers an area of about 80 acres. We have 1600 staff members, among whom there are 210 technicians. Our workshops have more than 300 sets of excellent manufacturing equipments. Our company drafted China's National Manufacturing Standard of CNC Fully Hydraulic Die Forging Hammers. Our company drafted China's National Manufacturing Standard of Electro Hydraulic Open die Forging Hammers. Our company drafted China's National Manufacturing Standard of Electro Hydraulic Die Forging Hammers. Our company drafted China's National Manufacturing Standard of Pneumatic Forging Hammers. Our company drafted China's National Manufacturing Standard of Hydraulic Riveting Machines. Our company drafted China's National Manufacturing Standard of Hydraulic Briquette Presses. Our products have been exported to USA, Canada, Mexico, Brazil, Chile, UK, Germany, France, Italy, Norway, Romania, Russia, Slovenia, Burma, India, Pakistan, Egypt, South Africa etc., totally more than 60 countries and regions. Looking to Purchase a New ANYANG FORGING PRESS Y83-230?